The Rig Veda contains an epithet that has been attributed to Narasimha. The avatar is described as “like some wild beast, dread, prowling, mountain-roaming” (RV.I 154.2a). There is an allusion to a Namuci story in RV.VIII 14.13: “With waters’ foam you tore off, Indra, the head of Namuci, subduing all contending hosts.” This short reference is believed to have culminated in the full puranic story of Narasimha. Grant me that I not die within any residence or outside any residence, during the daytime or at night, nor on the ground or in the sky. Grant me that my death not be brought about by any weapon, nor by any human being or animal. Grant me that I not meet death from any entity, living or nonliving created by you. Grant me, further, that I not be killed by any demigod or demon or by any great snake from the lower planets. Since no one can kill you in the battlefield, you have no competitor. Therefore, grant me the benediction that I too may have no rival. Give me sole lordship over all the living entities and presiding deities, and give me all the glories obtained by that position. Furthermore, give me all the mystic powers attained by long austerities and the practice of yoga, for these cannot be lost at any time. Brahma said, “Tatha asthu” (be it so) and vanished. Hiranyakashipu was happy thinking that he had won over death. One day while Hiranyakashipu performed austerities at Mandaracala Mountain, his home was attacked by Indra and the other devatas.At this point the divine sage Narad intervenes to protect Kayadu, whom he describes as ‘sinless’. Following this event, Narad takes Kayadu into his care and while under the guidance of Narad, her unborn child (Hiranyakashipu’s son) Prahlad, becomes affected by the transcendental instructions of the sage even at such a young stage of development. Thus, Prahlad later begins to show symptoms of this earlier training by Narad, gradually becoming recognised as a devoted follower of Vishnu, much to his father’s disappointment. Prahlad then answers, He was, He is and He will be. In an alternate version of the story, Prahlad answers, He is in pillars, and he is in the smallest twig. Hiranyakashipu, unable to control his anger, smashes the pillar with his mace, and following a tumultuous sound, Vishnu in the form of Narasimha appears from it and moves to attack Hiranyakashipu. in defence of Prahlad. In order to kill Hiranyakashipu and not upset the boon given by Brahma, the form of Narasimha is chosen. Hiranyakashipu can not be killed by human, deva or animal. Narasimha is neither one of these as he is a form of Vishnu incarnate as a part-human, part-animal. He comes upon Hiranyakashipu at twilight (when it is neither day nor night) on the threshold of a courtyard (neither indoors nor out), and puts the demon on his thighs (neither earth nor space). Using his sharp fingernails (neither animate nor inanimate) as weapons, he disembowels and kills the demon. 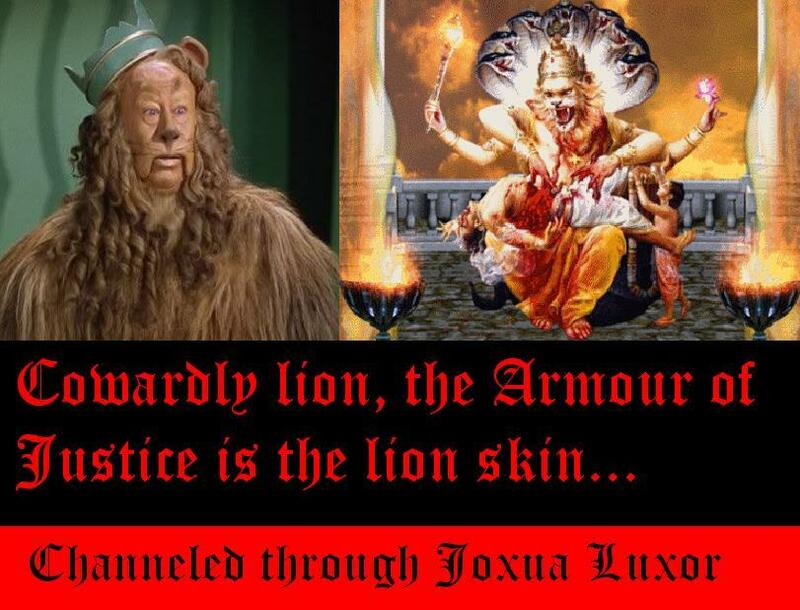 Kurma Puran describes the preceding battle between the Purusha and demonic forces in which he escapes a powerful weapon called Pashupata and it describes how Prahlad’s brothers headed by Anuhrada and thousands of other demons “were led to the valley of death (yamalayam) by the lion produced from the body of man-lion” avatar. The same episode occurs in the Matshya Purana179, several chapters after its version of the Narasimha advent. The Bhagavata Purana further narrates: even after killing Hiranyakashipu, none of the present demigods are able to calm Narasimha’s fury, not even Shiva. So all the gods and goddesses call his consort, Lakshmi, but she is also unable to do so. Then, at the request of Brahma, Prahlad is presented to Narasimha, and finally he is calmed by the prayers of his devotee. Before parting, Narasimha rewards the wise Prahlad by crowning him as the king. According to Atharva Veda, Linga Purana, Skanda Purana and Sharabha Upanishad, Narasimha’s anger did not go even by slaying Hiranyakashipu. Lord Shiva then took his avatar as Virabhadra to subdue him. When that also failed, Shiva manifested as his thirteenth avatar Sharabeshwaramurti, a human-lion-bird form. Shiva was then able to control Narasimha and let Lord Vishnu regained his original form. Narasimha is also a protector of his devotees in times of danger. Near Srisailam, there is a forest called Hatakeshwanam, that no man enters. Shankaracharya entered this place and did penance for many days. During this time, a Kapalika, by name Kirakashan appeared before him. Kapalikas are a set of people who live in the burial grounds and pray to God by giving human and animal sacrifice. He told Sri Shankara that he should give his body as a human sacrifice to Kali. Sankara happily agreed. His disciples were shocked to hear this and pleaded with Shankara to change his mind, but he refused to do so saying that it was an honor to give up his body as a sacrifice for Kali and one must not lament such things. The Kapalika arranged a fire for the sacrifice and Shankara sat beside it. Just as he lifted his axe to severe the head of Shankara, Lord Vishnu as Narasimha entered the body of the disciple of Shankaracharya and Narasimha devotee, Padmapada. He then fought the Kapalika, slayed him and freed the forest of Kapalikas. Adi Shankara composed the very powerful Lakshmi-Narasimha Karavalambam Stotram at the very spot in front of Lord Narasimha. Due to the nature of Narasimha’s form (divine anger), it is essential that worship be given with a very high level of attention compared to other deities. In many temples only lifelong celibates (brahmacarya) will be able to have the chance to serve as priests to perform the daily puja. Forms where Narasimha appears sitting in a yogic posture, or with the goddess Lakshmi are the exception to this rule, as Narasimha is taken as being more relaxed in both of these instances compared to his form when first emerging from the pillar to protect Prahlad. For other uses, see Sekhmet (disambiguation). In Egyptian mythology, Sekhmet /ˈsɛkˌmɛt/ or Sachmis (/ˈsækmɨs/; also spelled Sakhmet, Sekhet, or Sakhet, among other spellings) was originally the warrior goddess as well as goddess of healing for Upper Egypt. She is depicted as a lioness, the fiercest hunter known to the Egyptians. It was said that her breath formed the desert. She was seen as the protector of the pharaohs and led them in warfare. Her cult was so dominant in the culture that when the first pharaoh of the twelfth dynasty, Amenemhat I, moved the capital of Egypt toItjtawy, the centre for her cult was moved as well. Religion, the royal lineage, and the authority to govern were intrinsically interwoven in Ancient Egypt during its approximately three millennia of existence. Sekhmet also is a Solar deity, sometimes called the daughter of the sun god Ra and often associated with the goddesses Hathor andBast. She bears the Solar disk and the uraeus which associates her with Wadjet and royalty. With these associations she can be construed as being a divine arbiter of the goddess Ma’at (Justice, or Order) in the Judgment Hall of Osiris, associating her with theWedjat (later the Eye of Ra), and connecting her with Tefnut as well. I am a Magus. I have named one of the babies in my womb Sekhmet in honor of this deity I revere & serve. How did you channel this? I used to do such things with a Ouja board. 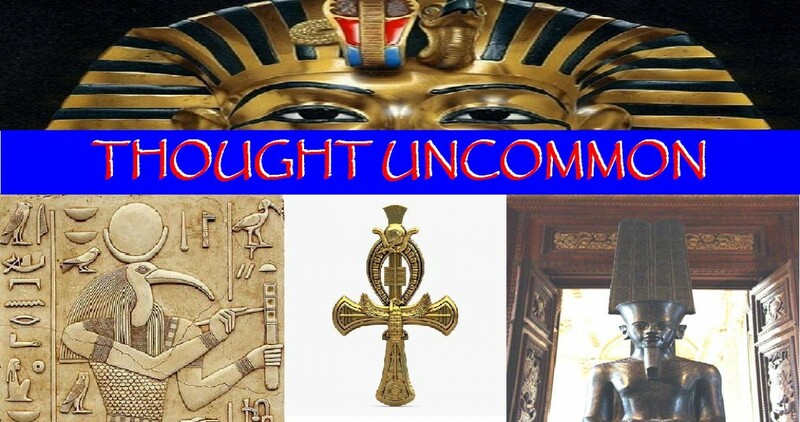 It is curious that you would post on this old blog because I was researching Ptah’s connection with Christianity, yesterday, literally. Do you know what a “syncretism” is? I am a Cohanim Rabbi and one of the Tzaddikim Nistarim. I channel Azrael. That is how I channeled this post. I was depressed and very close to death because I hated my life. That is how I channeled it. I am sorry you were in so much pain. I have some questions for you but I am too tired to ask them right now. I spent some time looking up some things that were completely unfamiliar to me & now my brain is fuzzy. I used to be a prostitute. I told people I was the Whore of Megiddo. I voted Jill Stein & now support Trump. This is uncomfortable for me. One time I had a curious intereaction with Lon in Flagstaff, where I used to live. You didn’t answer my questions. Why? My magical title should be 7 of 9. My magical lineage? The Borg. I hope you can appreciate my sense of humor. I’m a Scorpio, & yes, kinda intense.